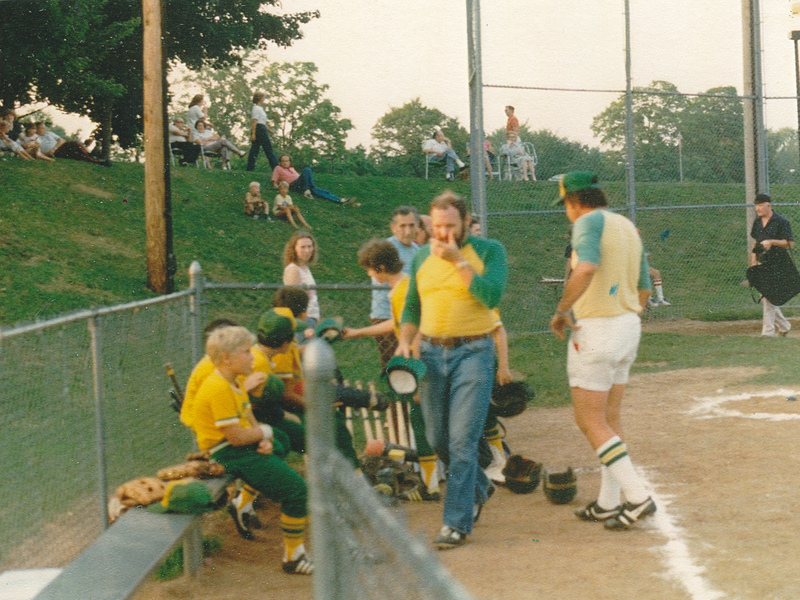 The West Hartford Youth Baseball League was organized in 1949 by the Department of Recreation. 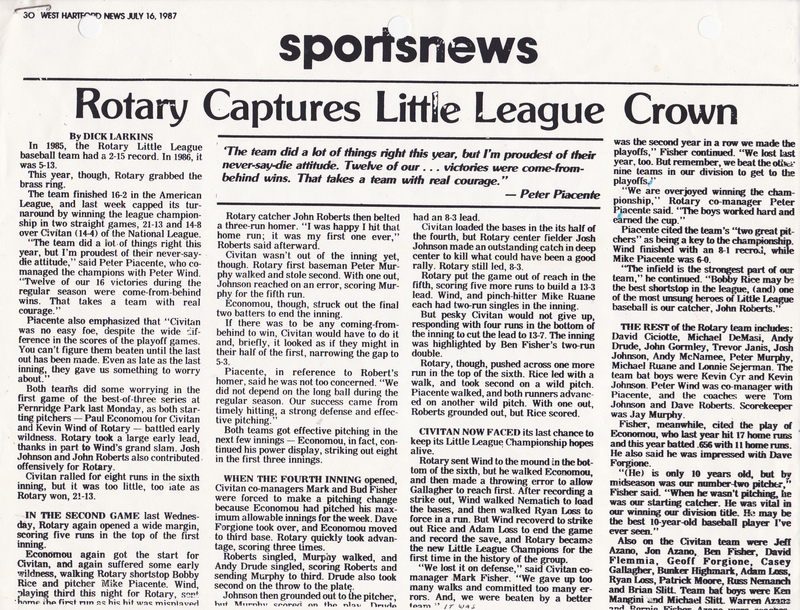 Four teams - Civitan, Exchange, Kiwanis and Lions - were organized the first year. Today, sixty-six years later, there are 10 Major League, 10 Minor League, 10 Instructional League teams, and 10 Training League teams with approximately 500 boys and girls participating in the spring program. Another 125 boys and girls will participate in our popular Summer League program, now entering its 20th season. In addition, another 100 will participate on our Travel teams. We will have 5-7 teams between ages 7-12. These teams have become known throughout the state and will look to build on the success of previous teams. 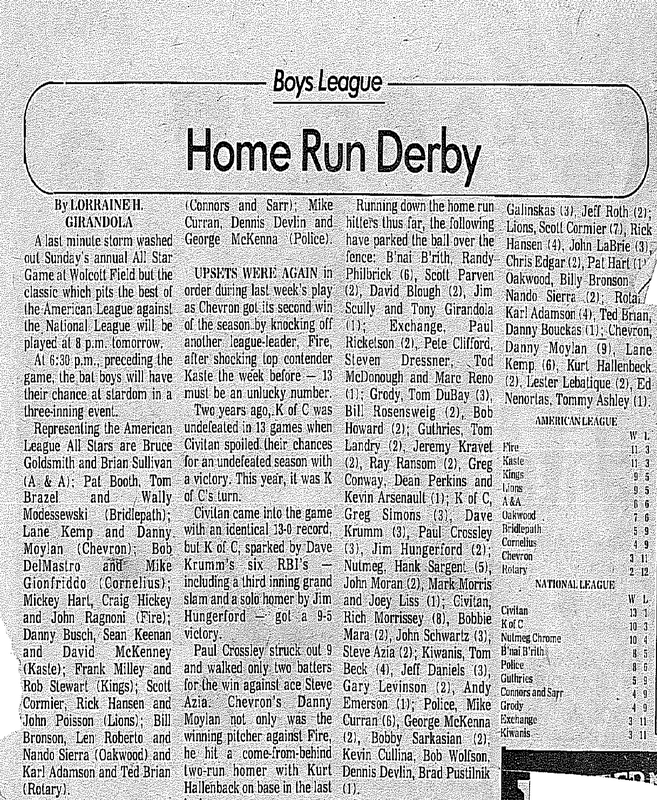 A newspaper article about the 1987 Town Championship back when the WHYBL was "Little League"